Say you have 20 tasks to complete in one week. Which one do you do first? Many people look at their to-do lists and just don’t know where to start. Worse, some people look at their to-do list and start off with something that doesn’t even necessarily need to be done. It can be hard finishing everything that needs to be done in a week and even harder to figure out what is a high priority and what is just icing on the cake – an extra task that is nice to have done but isn’t exactly necessary. In order to best manage your time, you have to first learn how to prioritize. Doing the most important task first ensures that not only is it done but that it isn’t rushed at the end of the week when you realize the deadline is fast approaching and you’ve spent all your time on other tasks. How exactly do you prioritize, though? One way is to use a priority matrix. But what is the time management priority matrix and how do you use it? 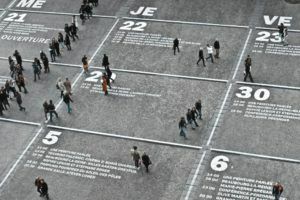 The time management priority matrix is a way to divide up the urgency and importance of tasks. Not every task needs to be completed right away and some tasks that you think that you need to do may not actually need to be completed by you (or at all). The key is to figure out what is what. The matrix diagram is a square divided into four sections. First, focus on dividing tasks into those that are urgent and those that are not urgent. Urgent tasks are tasks that must be completed right away. If these tasks aren’t completed as quickly as possible, the consequences will be high and negative. If your boss asks you to prepare a presentation for a prospective client that could potentially earn the company millions of dollars and they need it done by this Friday, that task is urgent. Is there a family emergency? That is also an urgent matter. Time-sensitive emails, phone calls, or other small tasks are also considered urgent. Things like updating your LinkedIn profile, exercising, planning the week’s meals, and organizing your email inbox are examples of things that are not urgent. Next, you’ll further divide the list of things that are urgent and not urgent into what is important and what is not important. That big presentation you have to make for your boss is definitely important, as is running monthly expense reports, maintaining employee files, and things like keeping up with your friends and family. Responding right away to a text from your sister about what kind of ice cream you want after dinner at her house is not important, though, nor is keeping up to date with your Facebook or Twitter feed. You will end up with four sections, the first with things that are both urgent and important, the second with things that are not urgent but still important, the third with things that are urgent but not important, and the last with things that are both not urgent and not important. Your presentation for the company’s new clients is both urgent and important: it takes the highest priority and should be the thing you do first. Meanwhile, those expense reports you have to run each month are important and need to be done at some point, but unless it’s the last day of the month they aren’t urgent and can wait until you’ve completed your urgent tasks. Examples of things that are urgent and not important would include that text from your sister: if you don’t reply right away, she may just choose an ice cream herself, but it’s not really going to matter in the long run. Tasks that other people have failed to do in a timely matter and are asking you to do would also fall into this category. They may be urgent to that person but not necessarily important to you. Last, the not urgent and not important category is all those things you do that distract from actually getting things done. These things may be fun and have their own time and place but when you are prioritizing, they are dead last and can even drop off your list entirely without consequence. The time management priority matrix is one way to divide up your tasks and see what needs to be done first. But what if you need a little help applying the matrix or figuring out what is actually urgent and not urgent when it sometimes seems like every task given to you needs to be done right away. 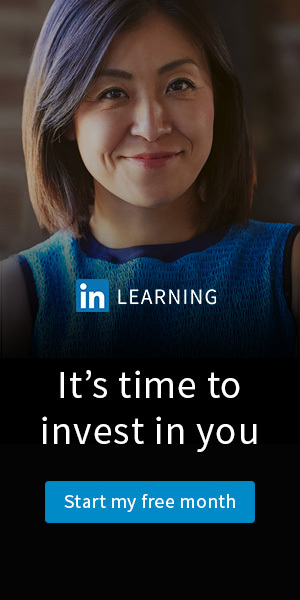 To help you learn the necessary skills you need to properly prioritize, you can turn to LinkedIn Learning and find a course on time management and prioritization. Many of these courses will teach you how to use the time management prioritization matrix or another, similar method. Prioritizing Your Tasks is one of the courses available. In this course, you’ll get an overview of how you can start properly prioritizing your tasks in order to maximize the time you spend working. You will learn the time value prioritization method, which is just another way of figuring out how to order the tasks you need to complete. You will go over how to determine if a task is urgent or not urgent so if you’re having trouble figuring out what is what, pay attention to that section! You will also determine what effect the task will have and whether or not the task needs to be completed by you or if it is something that can be reasonably delegated. Throughout the course, you will have exams that will help you apply your knowledge and check for comprehension. The ability to figure out the urgency and importance of each task is vital to time management and this course teaches that skill plus many more. Once you can accurately determine what is urgent, not urgent, important, and not important, you can use the time management priority matrix effectively and then move on to determining who needs to complete each task. This course will help you fully utilize the time management priority matrix in addition to other tools and methods. You’ve taken a course on prioritizing and used the time management priority matrix to determine what task needs to be completed right now and what things don’t need to be completed at all, but how do you organize all the things in between? A course like ‘Managing To-Do Lists’ can help you with that. This course will also go through methods of prioritization if you need a little extra help with that or if you need additional tools to help you out. The main thing this course focuses on, though, are techniques for making and using effective to-do lists. There are plenty of times when we have all written up a to-do list, on paper or on our phone, and then never actually checked anything off. Maybe we did some of the tasks but not all of them and not in the most effective order. ‘Managing To-Do Lists’ teaches how to actually make and use a functional to-do list. You will learn the different types of paper to-do lists, how to use them, and their strengths and weaknesses. If you’re more of a digital person, the course also goes over various apps you can use to help with prioritizing, organizing, and even collaborating on your to-do lists. After you’ve tried out the different techniques on paper and on your phone or laptop, you can be on your way to organizing all those not urgent yet important tasks that you have to complete. A lot of us feel like there isn’t enough time in the day to finish all our work, have a social life, spend time with family, pursue hobbies, rest, etc. One of the problems may be that we just aren’t managing our time as well as we can. If you show up to work to find 50+ emails, a huge stack of paper on your desk, a phone filled with unheard messages, and your coworkers and boss demanding things of you, it can be hard to know what needs to be done first. Many times, we get overwhelmed and just end up going with the “loudest” task instead of the most urgent or most important. By learning how to use the time management priority matrix and applying it along with other time management skills, you’ll be able to pick through all those tasks and decide what you need to do first. You’ll also be able to get rid of all those little distractions throughout the day, all those temptations to just sit around and browse the internet instead of dealing with what feels like chaos. 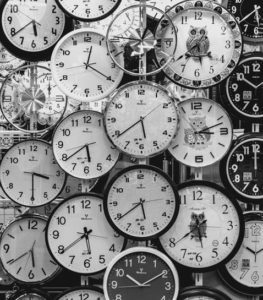 Once you start using a time management priority matrix and making to-do lists based on your categorizations, you’ll be surprised to find just how much time you actually have in a day.